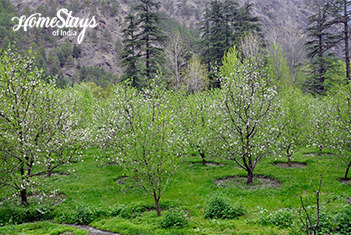 Old Manali existed long before the modern town. It may look old, but it is way more awesome as compared to the new Manali town. Today it’s the hub of backpackers but still has the feel of an Indian mountain village once you go across the backpacker zone. There are some remarkable old houses of wood and stone, and the towered Manu Maharishi Temple who is believed to be the creator of civilisation, landed after the great flood. 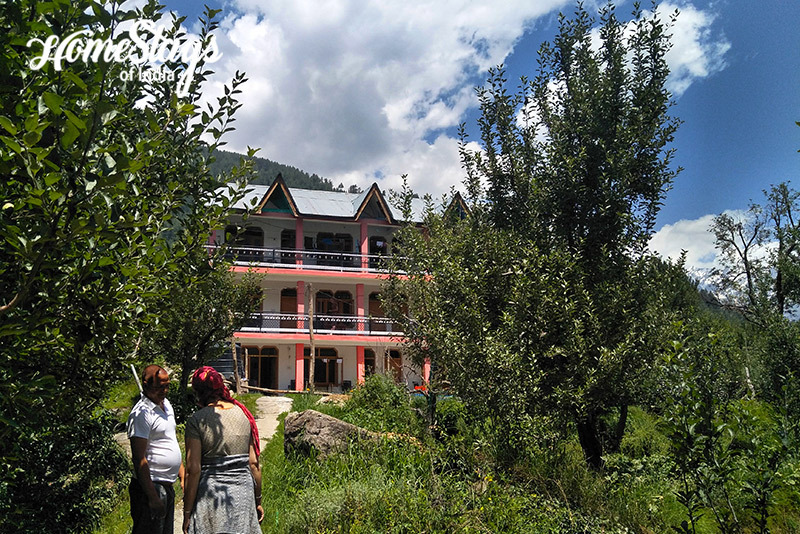 Moreover, it’s a lot of fun to walk around in Old Manali to discover new viewpoints and secret trails where one can be in the lap of Mother Nature. 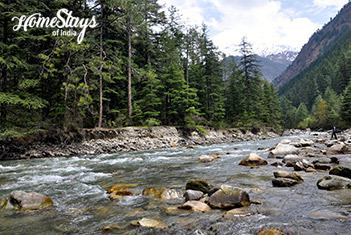 In fact, if you love walking and can go for hours, you can also reach the nearby Vashisht or Prini villages. It was built by Sh. Budhram Thakur in 1999 in his apple orchard with only 2 rooms for his small family. Now it is nestled in 3025 sq yards of agricultural land and home to his son Raju, daughter-in-law Gayatri and 2 grand daughters. 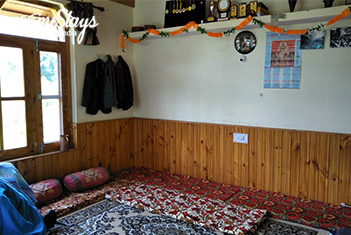 Located in Old Manali, just above Club House, it is a 3 storey building whose ground and 1st floor is devoted to guests and the family lives on the top. 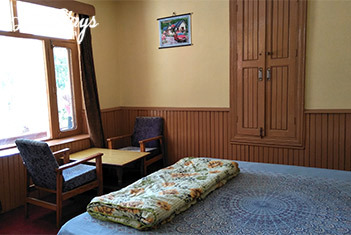 Ground floor consist of 1 double room with attached toilet and 2 other rooms are with a common one. Same format is repeated on the 1st floor. There is an additional kitchen in the garden for guests use. 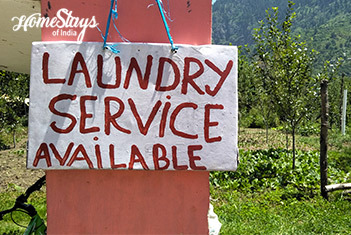 Apart from farming, Raju runs a cafe. 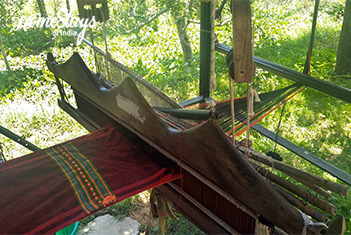 His wife Gayatri is very good on weaving hand crafted Shawl, Pattu, Scarf and Stole. You can also try your hand on the loom with her. Since Raju runs a cafe, he has a rich menu of food including hot & cold Beverages, Pancakes, Indian and Continental. Non-veg is available on advance notice. Guests has a separate kitchen also if they like to cook their own.